The days are gone of keeping to the usual traditions – this day is a blank canvas, to fill with your special memories, moments of all the things you love.Thecolour scheme the flowers, those little trinkets and treasures.. the options are endless and there, ready for you to style to your very own traditions with the help of stylish hotel The Angel, set in the rolling hills of The Brecon Beacons! They share insightful ideas for the main areas of your wedding in which you can add the most personal and charming touches and let your personality as a couple lead the theme of the day! Personalise your special day with your own individual theme that runs from ‘save the date’ cards through to the ‘I do’s’ whether it be colour, style, flowers, patterns or your unique traditions – do it your own way from the word ‘Yes’! Leave a personal note for them, letting them know your favourite memory together! Personalising your wedding is all about giving special meaning to the day and there are so many ways that you can do this. Themed weddings are on the rise and what could be more personal then your special day being dedicated to your shared obsessions! Are you mad about Alice in Wonderland? 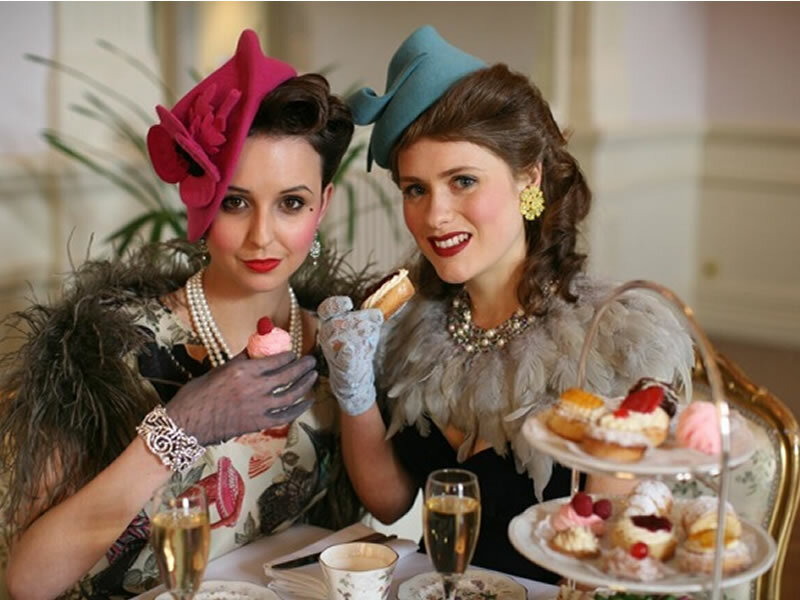 Fancy a vintage style wedding? Whatever your passion – share it with your nearest on the day that will become your dearest. Creating a wedding day that’s personal to you means you can get creative with every element – from food to the flowers. 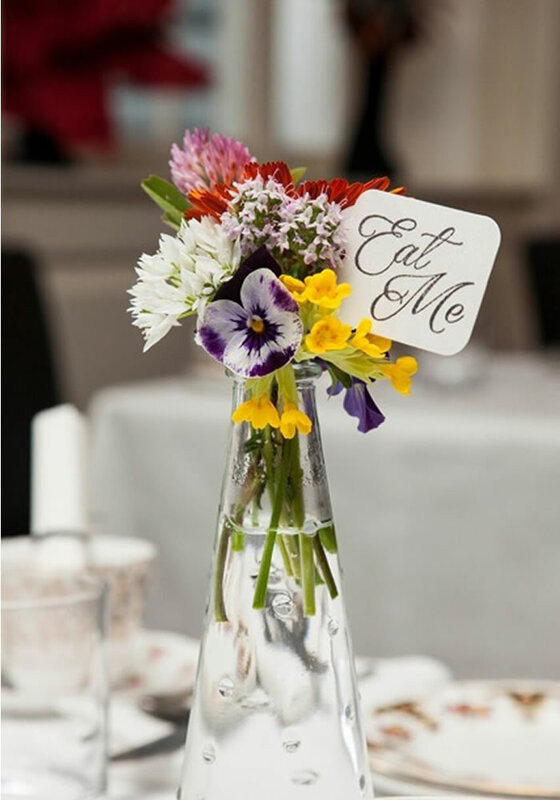 Flowers are such a big part of any wedding – why not carry the same kinds of flowers that your mum carried as a bride, why not pop a bunch of edible flowers on the table for your guests to nibble on. 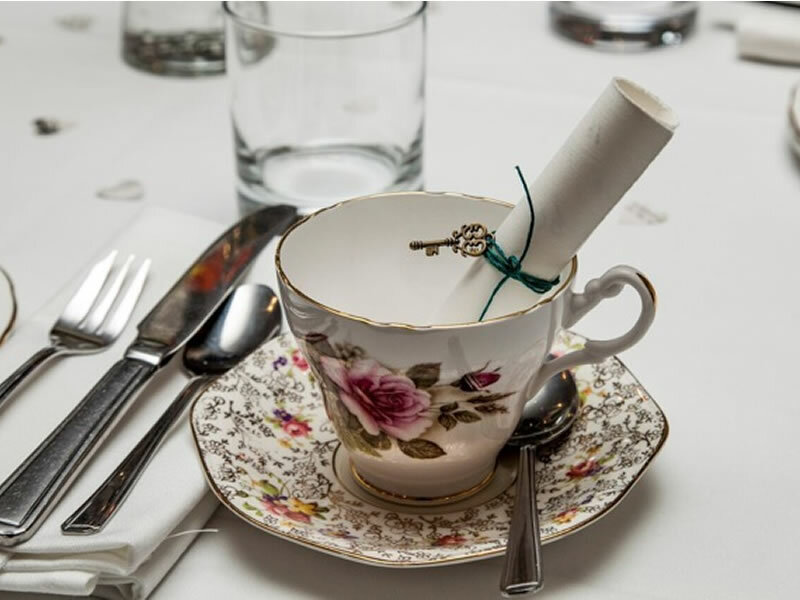 Why not create a personalised menu that reflects the theme and style of the day? 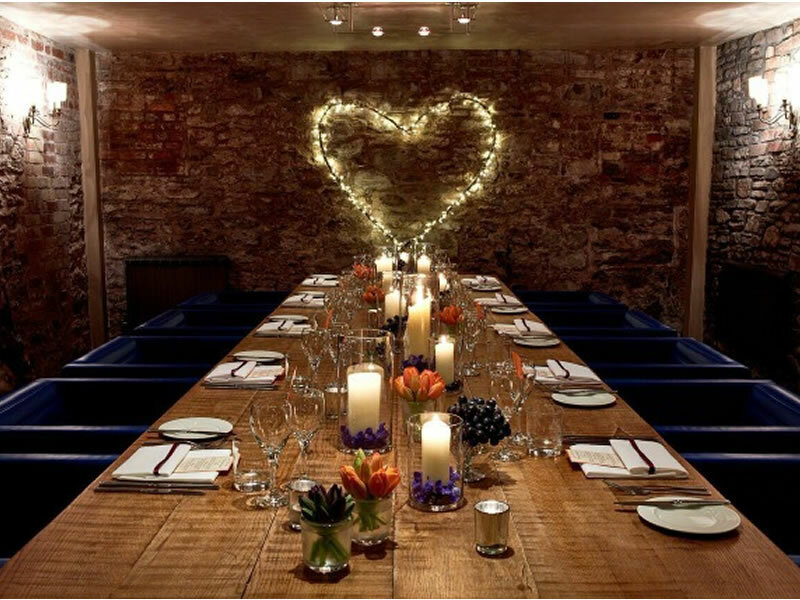 One of the best ways to make you wedding individual is in the decorative features – especially the centrepieces! 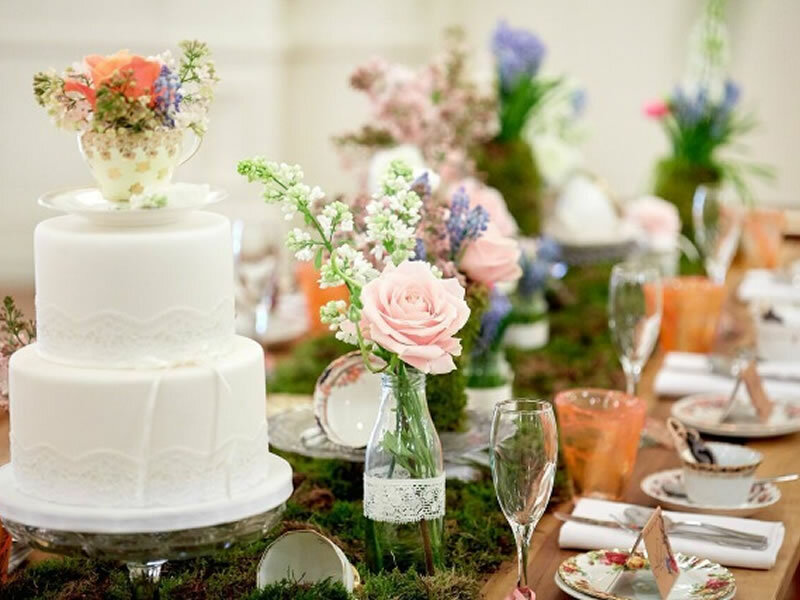 The options are unbound..varying heights, dramatic or demure, candles or birdcages, mason jars or crystal vases, roses or orchids, edible flowers – we could go on. Whatever you decide, you can say something personal at every table. The cake is one of the key things to consider when planning your big day and sticking to the three tier white sponge cake is no more. Have your cake and eat it, the way you want. Sponge?Sure! Fruit? Fine!,Cupcakes? Cool! – whatever you have taste for, it can be arranged. Cake toppers are making a comeback but in a less traditional manner. Rather than the classic bride and groom , make it personal and say something about the things you love, on the cake you cut with your love. Whether it be shoes, your fave animal or a vintage teacup and saucer with a posy of wild flowers.